India has now begun final contract negotiations with Russia for the Rs 39,000 crore (over $5.5 billion) acquisition of five advanced S-400 Triumf air defence missile systems, which can detect, track and destroy hostile strategic bombers, stealth fighters, spy planes, missiles and drones at a range of up to 400 km and altitude of 30 km. 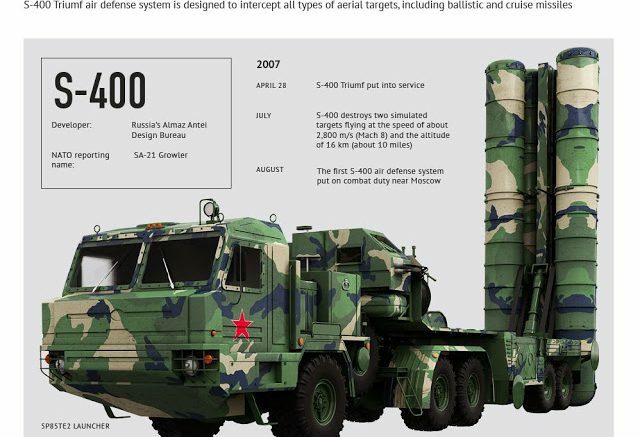 When the S-400 contract is actually inked, it will be among the largest-ever deals with Russia. The other big deals include the ones for 272 Sukhoi-30MKI fighters (over $12 billion) and INS Vikramaditya ($2.33 billion for the aircraft carrier and another $2 billion for 45 MiG-29Ks to operate from its deck). Be the first to comment on "India begins talks with Russia for S-400 Triumf missile shield deal worth Rs 39,000 cr"